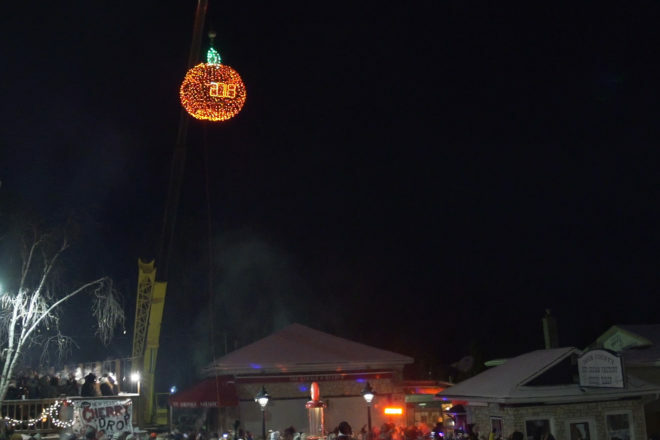 The New Year’s Eve Cherry Drop event adds more fun activities to ring in the new year in Sister Bay. Watch a professional ice sculptor carve unique designs; ice skate with friends and family; see a fireworks show; get your picture taken at the Cherry Drop photo booth; buy Cherry Drop gear at the Cherry Drop Shop; listen to a live broadcast of FM 106.9 The Lodge; dance to the greatest party tunes of all time; and enjoy special New Year’s Eve menus and drinks at the Sister Bay Bowl and Husby’s. The 300-pound, six-foot, red, sparkling cherry will drop at midnight. For more information, visit cometosisterbay.com. If getting more exercise is one of your 2019 resolutions, join the Newport Wilderness Society for a First Day Hike at Newport State Park. This is the eighth year that Wisconsin state parks have participated in this national event. Meet at the end of Europe Bay Road at Hotz Park at 9 am. This moderate, three-mile hike will take you along Europe Lake, with rolling hills along a forested sand dune. Hikers will be on trails where snowshoes are permitted, so you may want to take a pair if there’s snow and it’s deep enough. Poles and/or walking sticks are encouraged. After the hike, the society will have cider and hot chocolate in the Nature Center, Lot 1. The hike may be canceled in the event of extreme weather conditions. Call Newport at 920.854.2500 for more information. Crossroads at Big Creek will also start 2019 with a hike at 11 am. The hour-long hike will take hikers through the Ida Bay Preserve. Meet at the parking area at the Canal Road/Indian Trail intersection. This hike is free and open to the public. The Jacksonport Polar Bear Club is preparing to take its annual plunge into Lake Michigan for the 33rd time. For the past 32 years, the Jacksonport Polar Bear Club has celebrated the new year by going for an icy dip into Lake Michigan at Lakeside Park in Jacksonport. More than 500 swimmers are expected to take the plunge in 2019, which puts this polar-bear swim among some of the largest in the country. The swim will be held precisely at noon, with a 10-second countdown preceding a massive rush of swimmers into the lake. Festivities at Lakeside Park will begin at 10:30 am. Registration for all swimmers will take place in the park shelter closest to the lake. Although the event is free, all swimmers are asked to sign a liability release form before participating in the event. Forms will be available at the registration pavilion, or swimmers can save time by downloading the form at JacksonportPolarBearClub.com and drop it off on the day of the plunge. A variety of Jacksonport Polar Bear Club merchandise, including T-shirts, hats, hoodies and other items will be available for purchase at the registration pavilion. New this year, shirts can be ordered ahead of time. Look for details on the club’s Facebook page. Free Jacksonport Polar Bear Club certificates of achievement will also be available to all swimmers when they register. The club started in Jacksonport in 1986 with one swimmer, J.R. Jarosh. The club has seen substantial growth since then, and in 2010, an estimated 900 swimmers went in. The 2018 swim was the coldest swim on record, and it attracted an estimated 200 swimmers. Music on the beach will be provided by Loud Entertainment DJ Service. Participants and spectators are encouraged to take a nonperishable food item to donate to Feed My People, a Door County food pantry, which will accept food and cash donations near the registration pavilion. Waseda Farms will also sell organic bone broth to help keep folks warm, with all of the proceeds benefiting the Jacksonport Fire Department and Feed My People. For more information, visit JacksonportPolarBearClub.com. The New Year’s Day parade runs through the Village of Egg Harbor on Highway 42. Entering its 40th year, there’s an open invitation to virtually anyone to join the parade. There is no formal registration required. Dress up, take your pets and decorate an old car, motorcycle or any piece of heavy construction equipment. You’re limited only by ingenuity and practicality. The parade lineup begins at Stella Maris Parish, 7710 Hwy 42 in downtown Egg Harbor. If you’d rather just ring in the new year as a spectator, watch the parade as it runs north through the village from Harbor School Road to County E.